If there’s one developer who knows how to make a dungeon crawler it’s Demon Gaze II‘s Experience. Time and again we’ve seen solid dungeon crawling games, such as Stranger of Sword City and Operation Abyss: New Tokyo Legacy. But one title that has stood out to me was their 2014 release of Demon Gaze on PlayStation Vita. The game struck all the right chords with me in terms of environments and a well-balanced dungeon crawling battle system to the point that Experience could have easily delivered a repackaged sequel and I would have probably been content. 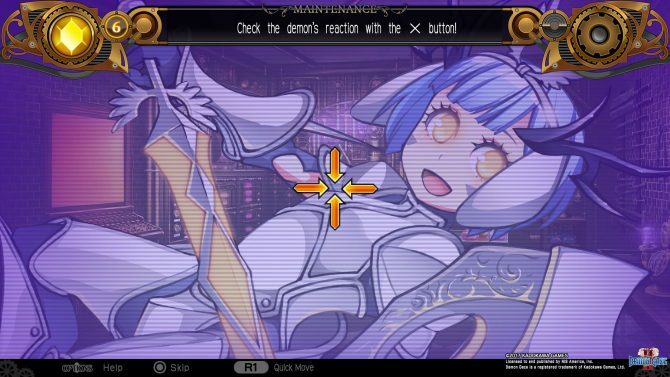 However, the company seems to be trying out new systems as seen in Demon Gaze II, and it only made me enjoy the game more. 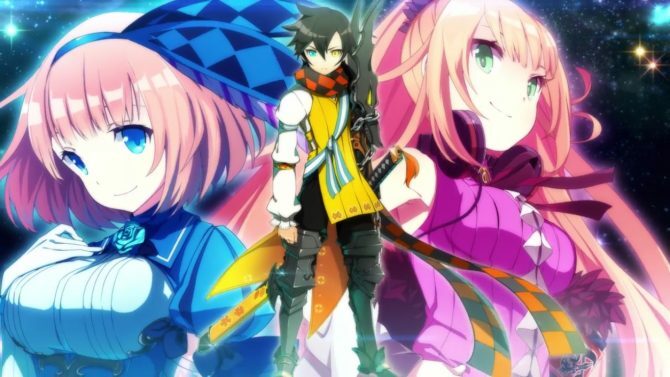 Demon Gaze II begins with the player on a mission for an unknown cause. As the story unfolds, we find out that not only does the player have amnesia, but we are also a part of a rebel group who are going face-to-face with the ruler of Asteria, a demon gazer by the name of Sirius Magnastar. To make things more interesting, the player is given the power of the demon gazer by a follower of Magnaster — a mysterious ally who seems to want to come to the aid of the player at random times throughout the story. This is where Demon Gaze II sets itself apart for the previous entry. Right away we are given a clear reason as to who the enemy is and what we must do to accomplish our goal as the hero. True, it’s super easy to play the amnesia card and roll with it, but there are some really nice heartfelt scenes between the player and certain characters which explain how they’ve all grown up together that wouldn’t have been as emotional without this classic trope. With that aside, some scenes can feel like fairly cookie cutter friendship banter, but it’s balanced by interesting twists. 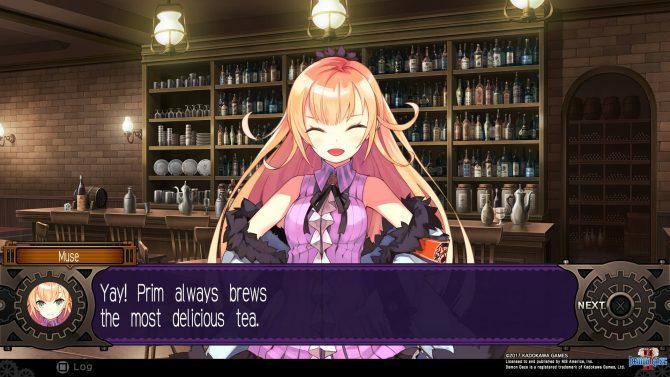 Demon Gaze II wants the player to also care about the demon girls in your party and over time it’s hard not to. Every area is run by a specific demon that the player must defeat in order to have her join your party. Coincidentally, this also ends any dominance over the land that Magnastar had. As demons join, players are able to purchase rooms for them and increase their affinity with the player which brings up a much bigger roll in the game: Players are now able to go on dates with the demon girls which is handled in a semi-unique mini-game that Japanese game fans might be used to… a touching mini-game! After using a certain item, players must search a demon’s body for that “Perfect” spot. They’ll have five or so tries to do this until the mini-game is over. After, points are added up to acquire a special dating event between the player and a demon. 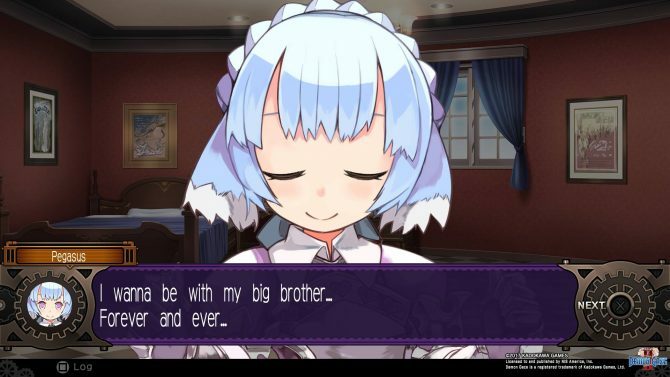 Usually in games that have this feature, I’m used to seeing over sexualized scenes of flirtation and awkward moments (which there are scenes like that in this game), but some of these specific dating events are well thought out and give the various demon girls’ personalities depth. This is when I realized that Demon Gaze II has greatly improved on what was present in Demon Gaze and I haven’t even gotten to the battle system yet. The in-game’s revolution is planned at an inn known as Stella’s Place. This is where the player will participate in story events and talk with other characters. During conversations, the player is able to choose how they’d like to respond to questions or situations. I sometimes felt like these responses could have varied more because the answer that I would have wanted to give wasn’t always present which made me feel as if the story was just linear. And if that’s the case, why give me the option at all? In the basement of the inn is the broadcast studio where the Manager, Muse, and her sister, Prim, create the rebel radio. It’s possible to check up on exposure and story progress here. This is represented by something known as Star Power which corresponds to the number of listeners the group has. There are some pretty cool scenes where the player will have a QA with Muse that could potentially grow your listener count. 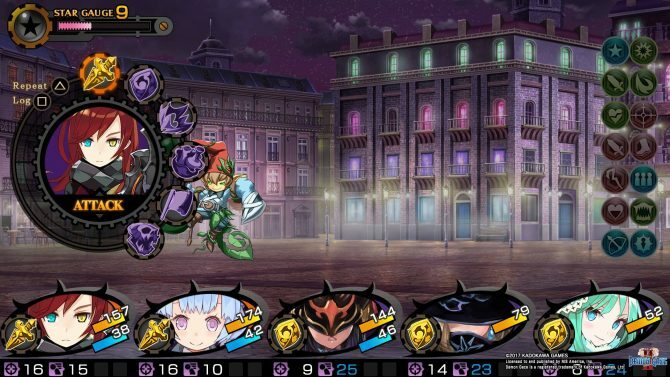 Like most dungeon crawling RPG, Demon Gaze II features first-person exploration with a party of characters. Battles go quickly and if you use the “Auto” and “Fast” battle options they’ll usually be over within a few seconds. This really keeps the plot and quests move along when either searching for an item or trying to get to a destination. Experience’s approach to dungeon crawling changes very little, but there are some differences that I’ve found present in the game. 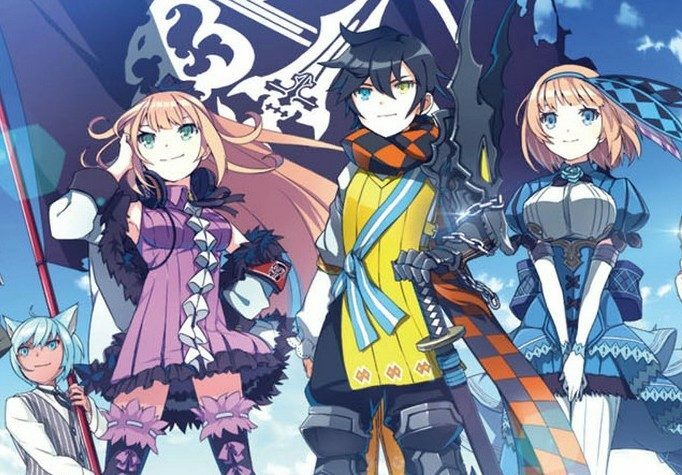 For starters, Demon Gaze II could easily be someone’s intro to dungeon crawling as the basic systems are extremely approachable. Furthermore, unlike other Experience titles, Demon Gaze II has an easy start with low-level enemies who become more difficult in later dungeons. This attention to the balance of difficulty is something that I wish was in Demon Gaze since I remember dying many times in early dungeons. In dungeons, players must seek out special stones that require three gems to unlock. After defeating all the stones, the level boss will unlock and the player can face the enemy. Along the way there are other quests available, but this is mainly what the player will be doing. Being that the battles are so fast, lost of attention can be focused on getting through the dungeons and avoiding the many gimmicks that the levels have, including, fire, pitfalls, and invisible walls. In later parts of Demon Gaze II, dungeons will become fairly large with multiple floors and areas to explore. This means that some dungeons will be explored multiple times, but the environment changes often enough that you will not grow bored of your surroundings. With each level added to a dungeon, the difficulty will increase which requires some level grinding, but with the speed of the battle system this never feels like a problem. Equipment and character customization have many options that include leveling up individual weapons and armor. Demon Gaze II is full of loot. Every battle usually gives rewards and items, but the better items are found by kicking secret walls in dungeons to uncover some hidden treasure. However, it’s possible to just find treasure maps so you’re not just running around kicking at all the walls. Being on the PlayStation 4, I felt that Demon Gaze II could have utilized the new hardware and created some amazing looking dungeons. True, the game is also on the PlayStation Vita, but the graphics do resemble what we’ve seen in PlayStation 3 dungeon crawlers. Furthermore, there are few reused assets from previous Experience games, including set similar set pieces and enemies. However, this could just be Experience building on established enemy types. Demon Gaze II has an awesome soundtrack with music to fit every mood. The game’s theme is set around music and the characters constantly reference the power that music has. This statement is backed up in the gameplay and shows that Experience understands the power of a good soundtrack as much as they understand creating a great dungeon crawling experience. I should also add that Japanese text and audio options are available at any time during the game. 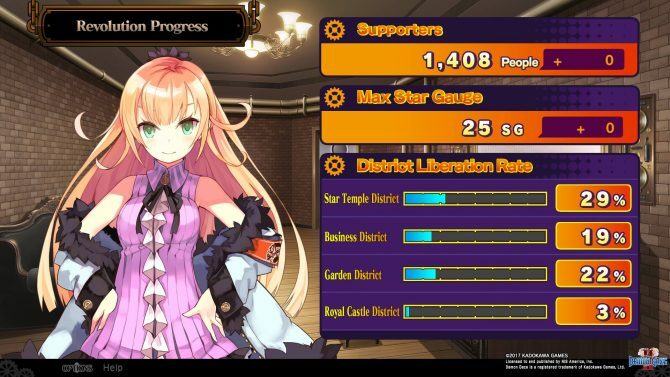 Demon Gaze II could have simply been a typical dungeon crawler developed by Experience and passed as a good game, but the developers attention to story and creating a motivation for the player paid off tremendously. The player will meet many characters throughout the game, each with their own backstory and personality. Additionally, like other Experience titles, there are a few good story twists as well as a good amount of post-game content to dive into after a game that takes well over 30 hours to complete. 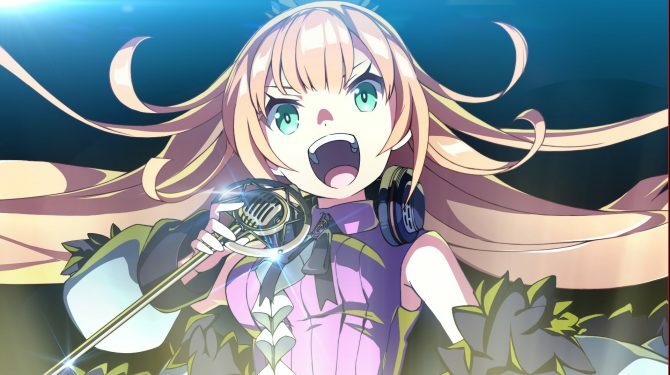 Dungeon crawlers aren’t for everyone, but Demon Gaze II is the perfect place to start for players who have yet to try out the genre. The story has as much depth as the impressive in-game customization systems that will surely impress veteran fans of the series along with being easy for newcomers to digest. I’m happy to see Experience stepping out of their comfort zone and trying new things with the dungeon crawling genre. 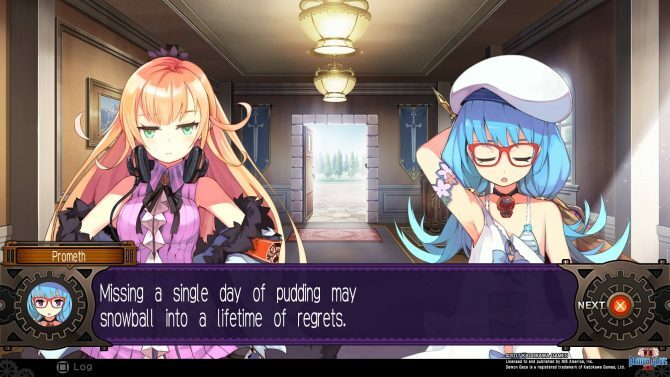 Playing through Demon Gaze II has left me excited for whatever the developer has coming next.